MySQL Databases are one of the many ways to store server data, commonly used by plugins. 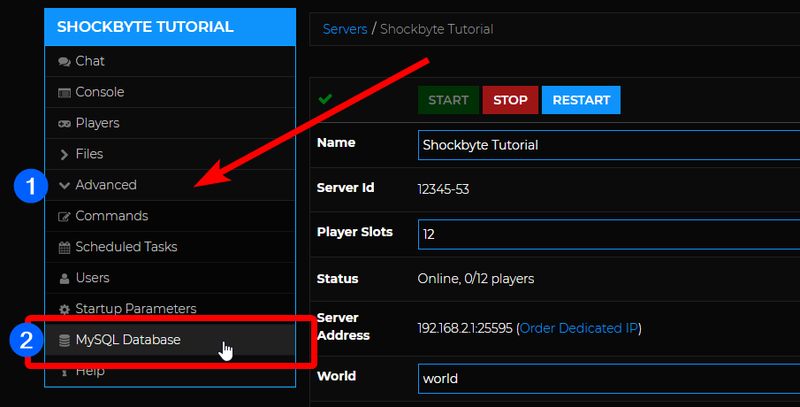 Log into your Multicraft control panel account at https://mc.shockbyte.com. If you own more than one server, select the server on which you want to import your database into. On the left sidebar of your control panel, navigate to Advanced > MySQL Database. On the MySQL Database page, click on the Administration Link to log into phpMyAdmin. Log into your phpMyAdmin account by entering your MySQL Username and Password then click Go. Note: This tutorial assumes you already have an existing exported database_name.sql file. 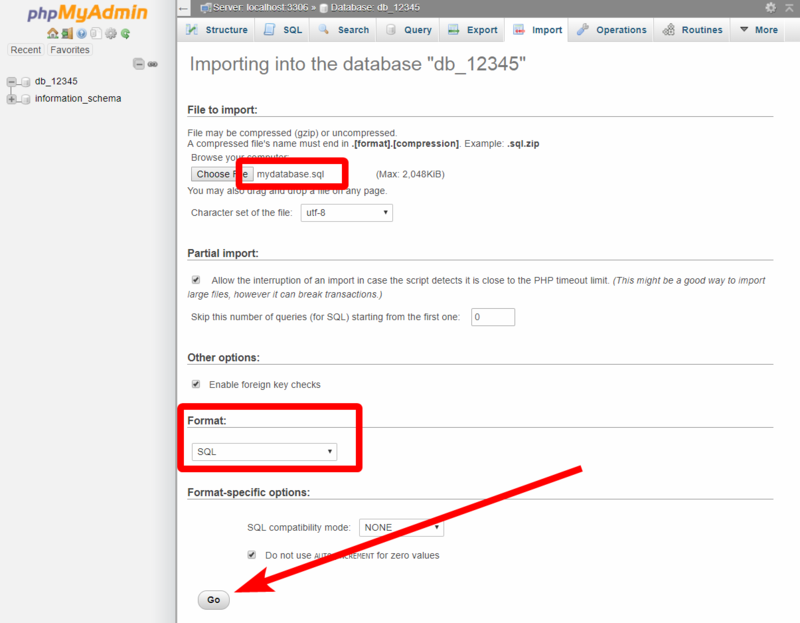 If you do not have one yet, scroll down to the section on Exporting a MySQL Database. On your phpMyAdmin page, select the database you want to import data into by clicking on the database name from the left sidebar. Once you've selected the database, click Import found on the top navigation bar. On the import page, click Choose File to browse and select the .sql file from your computer that you would like to import. After selecting your SQL file. Make sure you have selected SQL under the Format section, then click Go. If importing is successful, you will be redirected to a page with a message indicating that import was successful along with all the actions executed. You will also see your data tables shown on the left sidebar under the database name. You're done! You can now use the imported data into your server. If you want to backup of your data or import it into another database, you may do so by exporting your MySQL database. 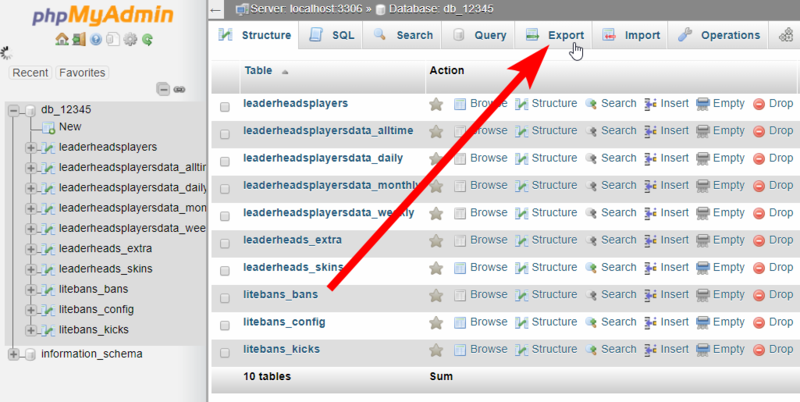 On your phpMyAdmin page, select the database you want to export by clicking on the database name from the left sidebar. Once you've selected the database, click Export found on the top navigation bar. 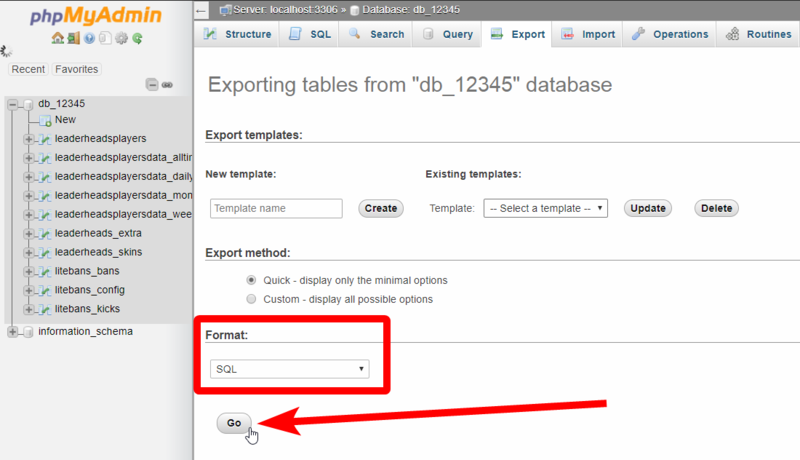 On the Export page, make sure your Export method is set to Quick and the Format is set to SQL and click Go. This will automatically download your database into your computer. If you are familiar with managing MySQL databases, or you only want to choose specific tables to be exported, you may select the Custom export method. That's it! You've successfully exported your MySQL database. The exported SQL file is now ready to be imported into another database or simply be stored as a backup. If you encounter difficulties managing MySQL database, feel free to contact us!